We wait so long for nice, new things. These things that would help us out, do little jobs that save us small amounts of time. Why waste energy inserting your hand into your pocket, grabbing a cuboid hone from a single slab of aluminium, then retracting your hand to deliver said cuboid to within the parameters of your vision? You’re now able to just look at your wrist. But just because you could, does it really mean you should? 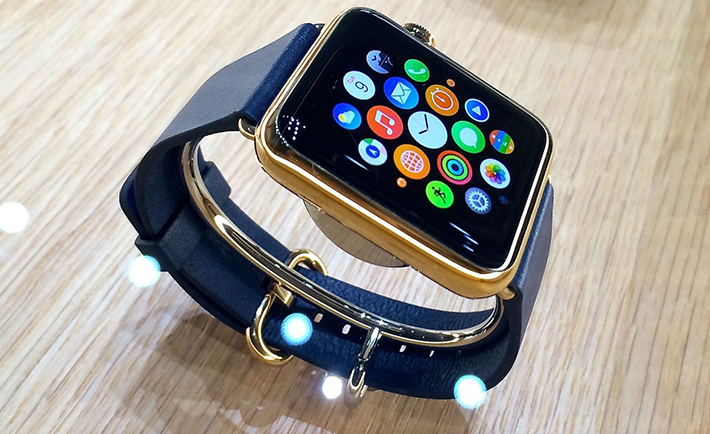 Apple has released more information on its new precious, the Apple Watch. While the base model will start at €399, it will be available in 18-carat gold for a starting price of around €11,000. That price is not for a piece of jewellery. If it was, it’d be ok. Gold watches can cost multiples of that. But this is not jewellery, it’s a computer, and people must realise that. The technology inside will date, and because it’s an Apple product, it’ll be near obsolete in two years. What can be done with it then, when it won’t be compatible with the iPhone 11? The price of the Watch lead me into thinking about the state of technology today, and a few thoughts came from it. One is that technology moves faster than any other factors in society and our lives. It outpaces laws, governments, and possibly even needs. Every year, we’re guaranteed new phones from HTC, Apple, Samsung, Nokia, all of them. And every year, technology journalists write the same things, the new phone has a spec boost, more capacity, a lovely screen, so on. And that’s about it. They still pump out these new phones and tablets because their competitors do. It’s a vicious circle. If you skip a year and a new model, you’ll be dead in the water. People want the new thing, no matter the difference. That’s how it goes. The other thought was even though we can, doesn’t mean we should. I recently got a new phone myself because my old one was in the week between Christmas and New Year’s Eve of its years. I had to get it, but it bothered me that I convinced myself to get a new one. We want the newest thing, it’s a mix of our animalistic and materialistic natures. Tech companies will strive to present us with the newest things, thinner laptops, lighter tablets, larger phones. There’s a law in technology called Moore’s Law. It says every two years, transistors on a circuit will double and get smaller. Right now, they’re measured in nanometers, which is a billionth of a meter. The latest Intel processors are 14 namometers. They can’t get much smaller than that. Soon, we’ll reach a stage where things will have to just stop for fear of breaking the laws of physics. Technology is at a stage it hasn’t been before. It’s advancing too quickly. Hopefully, the conscious decision will soon be made, “Let’s slow down and let the humans catch up”.